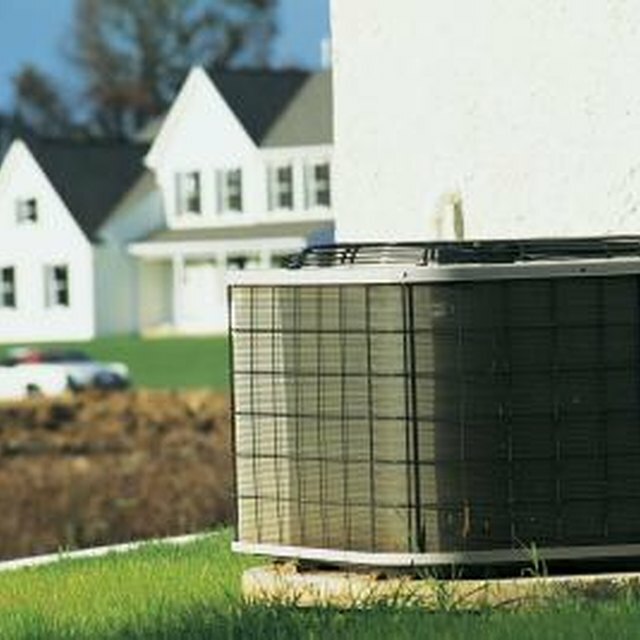 What Size Central Air Conditioning Unit Is Needed? Correctly calculating the size of the heating unit will result in an efficient means of heating a home. The size of heating units is usually given in British Thermal Units. The right size heating unit will efficiently heat a home. The calculation of heating unit size involves the measurement of the total volumes of all rooms in the house. Dividing this total volume by 0133 gives the number of British Thermal Units (BTUs). Multiplying this number by the number of degrees of temperature increase needed and rounding it off to the nearest thousand gives the total heater size required, in BTUs. Key factors in correctly sizing a heating unit include the size and shape of the house and the direction it faces. The local climate is also a factor as are the insulation levels in the house. The total areas of windows and their location and type will affect the heating of the house. Additional factors are the heat output from lights and major home appliances, and the temperature comfort level of the occupants. It's important to correctly size the heating unit you need. Installing a unit which is too large will force it to run below its most efficient level. The unit will cycle on and off more frequently, putting more wear and tear on the electrical components. Over-sized heating units are louder and more expensive to run than smaller ones.